A marathon is probably the biggest challenge for every runner. Mastering the historical distance of 42,195 km, attracts more and more participants worldwide. Running a marathon once, is for many the goal in life - no matter how fast you get to the finish. Being where the action is, is everything. To run 42,195 km, is for 95% of the contenders, however, not possible in less than 2 hours. For others, this burden and challenge is a calling and also kind of a job. 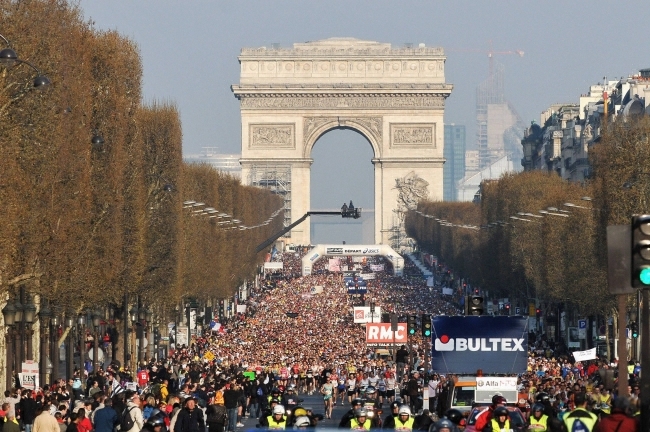 Whether watching or participating: the largest marathons in the world are major social events and are the sporting highlights of the Host City. 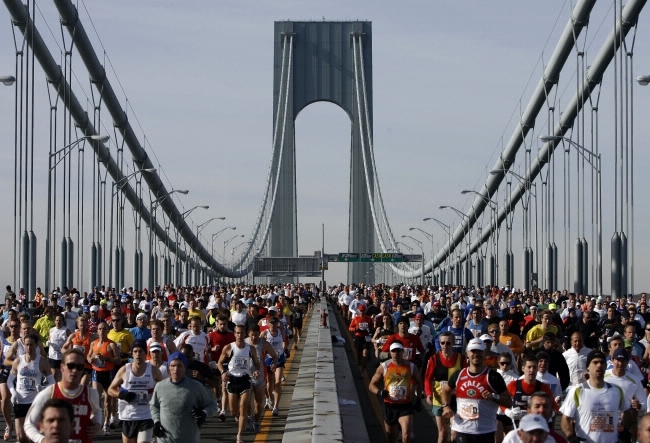 Marathon events around the world recorded attendance records. Millions of spectators and sports enthusiasts lining the streets, additionally events are increasingly attracting visitors and creating a special and entertaining marathon event! Participation: The coveted starting places are strictly regulated, for example, limits to qualifying times, and on the other hand, there is a split quota for New York citizens, U.S. citizens and non-US citizens. One who decides at the last minute to try to run along in New York, can buy guaranteed starting places from a limited number of tour operators - for non-US citizens the best and safest option. Also famous is the starting number lottery in which anyone interested can participate worldwide. It’s crucial to apply for the start list from 4-6 weeks after the last marathon until May, before the next marathon. For online registration you need to complete the online form and pay a fee of approx. $11.00 U.S. Dollars. The contingent of grid positions will be assigned randomly. Due to the high number of applications, it is very hard to win a place. Anyone over 18 years old at the time of the marathon can apply. Participation: The registration lists are closed when the maximum of 45,000 runners is reached. For the Chicago Marathon, there are no qualifying times. The official finish time is after six and a half hours, which is generous, according to European standards but rather strict according to Americans. Those wishing to participate in the Chicago Marathon, must be at least 16 years old on race day. However, minors under 18, will need parental consent. It is still possible to register until April 7, 2014. Participation: To participate in the Paris Marathon, runners will need a sports health certificate which must be signed by a doctor. Every runner who registers online or in writing in time for the Paris Marathon, has the same opportunity to a starting number - regardless of nationality. The minimum age is 18 years. The online registration has now closed for this year, but there are still ways to buy a registration through travel agents. Participation: The London Marathon is one of the most desirable running events in Europe, therefore it is very difficult to get a starting place - especially as a foreigner! It is estimated that only seven percent of foreign runners take part in the London Marathon. For German runners, only about 350 start numbers will be provided. In addition, almost all participants go to travel agencies. So it is the safest option for the London Marathon, to buy a starting place through a travel agent. The online registration for 2014 has already closed. The registration for 2015 will be open about 8 weeks after this year’s marathon. Participation: For the Berlin Marathon, it is only possible to book starting places through tour operators or charity providers. Field limit: 40,000 runners. The Berlin Marathon is organized by the (IWB) provisions of the German Athletics Federation (DLV) and the IAAF under the supervision of the Berlin Athletics Association (BLV). Minimum age is 18 years old. In addition to the marathon, there are also events for inline skaters as well as The Wheelchair and Hand Cyclists Marathon. If you are planning to take part in the next upcoming marathon be sure to prepare well for the marathon. Our Personal Trainers will support you with training schedules and workout tips.